On October 25, a spokesman for the Taliban announced that Pakistan had released Afghani Taliban leader Mullah Abdul Ghani Baradar from prison. Baradar, the Taliban co-founder and former deputy to Mullah Mohammed Omar, was arrested by Pakistani authorities in the southern port city of Karachi in 2010.
years after the Taliban office was established in Qatar, the head of al-Qaeda, Ayman el-Zawahiri, gave the bay'a (Islamic oath of allegiance) to Taliban leader Mullah Akhtar Mohammad Mansour. Mansour was killed in 2016 by a U.S. drone strike in southwest Pakistan, and following his death, al-Zawahiri renewed his oath of allegiance to the Taliban's current chief, Hibatullah Akhundzada. In Islamic theology, the oath of allegiance is given to a sole leader or caliph, so al-Zawahiri's oath to the Taliban means that al-Qaeda is now officially working under the guidance of the Taliban. When Baradar was arrested, Bruce O. Riedel, a former CIA officer who led the Obama administration's Afghanistan and Pakistan policy review in 2010, said, "his capture could cripple the Taliban's military operations, at least in the short term." Afghani political analyst Habib Hakimi also stated at the time that Baradar's arrest was "a loss for the movement, both militarily and politically," because Baradar "has close ties to political circles and many Islamic movements within the region, especially within the territory of Pakistan." 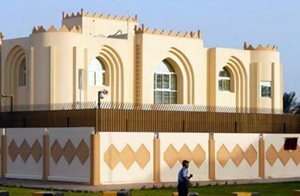 The question is, why would Ambassador Khalilzad and Qatar mediate the release of one of the most dangerous operatives of the Taliban, a group currently directing al-Qaeda? The release of Baradar will have dangerous repercussions. Appeasing terrorists has never worked and serves only to bolster their activities. Afghani president Ashraf Ghani and his Qatari counterparts have long worked to legitimize the Taliban. 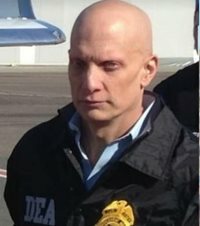 March, Jeffrey Higgins, a retired DEA supervisory special agent and the former DEA assistant country attaché in Kabul, warned against appeasing the Taliban under the banner of peace talks: "the Taliban are not substantially different from other Islamic terrorist organizations, so would the U.S. recognize a political party for ISIS or al-Qaeda? Would the U.S. have allowed Osama bin Laden to become a member of the Afghan Parliament if he condemned terror?" The release of Baradar can significantly help the Muslim Brotherhood. The Muslim Brotherhood's recent weakening in the Middle East could be reversed by a reinvigorated al-Qaeda. Muslim Brotherhood operatives founded al-Qaeda, and al-Zawahiri openly expressed sympathy for former Egyptian Brotherhood president Mohamed Morsi. After Morsi's July 2013 ouster from power, al-Zawahiri issued a videotaped statement on his behalf where he criticized Egyptian Salafi jihadists for not formally joining the Muslim Brotherhood's Freedom and Justice Party to help it uphold sharia law. Current setbacks to the Muslim Brotherhood can be reversed by a strengthened Taliban and an energized al-Qaeda. The Brotherhood can use al-Qaeda as leverage to bargain with Arab regimes, to intimidate the Brotherhood's opponents, and to revive jihadist sentiments that will aid the Brotherhood's recruitment efforts. Moreover, the Taliban's political office in Qatar could serve as a mediator between various terrorist factions, with whom Baradar previously collaborated. The Brotherhood-connected regime in Qatar can also use its Taliban office to halt reformist attempts supported by Egypt and the United Arab Emirates. As Higgins correctly noted, "neither the U.S. nor Afghanistan should negotiate with the Taliban unless it is to accept the Taliban's unconditional surrender or the defection of individual Taliban members. Instead of offering concessions, the U.S. should show strength and resolve in the face of unbridled evil."